Google Home received a major update to its voice recognition system on Thursday that lets owners set up the smart speaker to recognize multiple account holders. 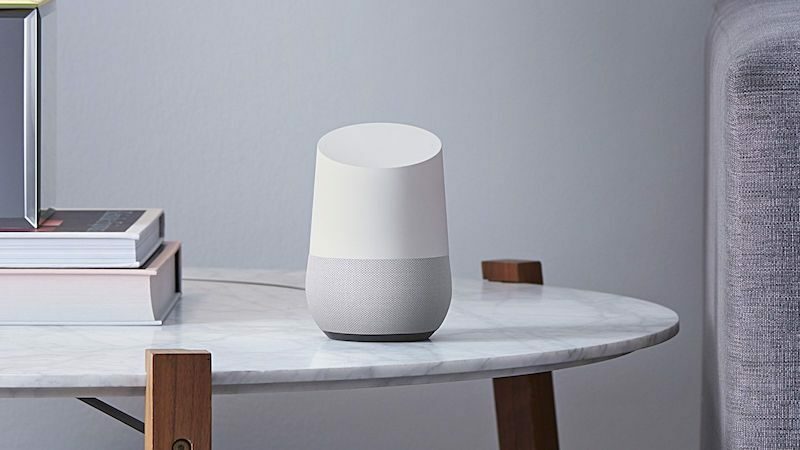 The software update means that up to six people can connect their Google account to one speaker and Google Assistant will be able to distinguish users by the sound of their voice. Amazon is said to be working on a similar feature for its Echo range of devices. The feature works by listening to how individual users say the phrases "Ok Google" and "Hey Google", and then runs the samples through a neural network that can detect certain voice characteristics and match vocal analyses in a matter of milliseconds. Google says the process happens "only on your device" and the samples aren't sent anywhere else. ArsTechnica asked Google how confident it was in the speaker's ability to distinguish users only by voice. Google responded by explaining that the feature was still being refined. "We don't recommend that users rely upon voice identification as a security feature," said the company. To enable multi-user support, owners need the latest version of the Google Home app. If the app doesn't highlight the new feature, click the icon in the top right to see all connected devices. After selecting the Google Home speaker from the list, tap "Link your account" and the app will run through the process that teaches Google Assistant to recognize your voice. The feature began rolling out in the U.S. yesterday, and Google says it will expand to the U.K. "in the coming months". Would like to read more rumours about Apple's entry into this product category. I already suggested a multiple user feature for Siri (and in the hope it would also be included on a future home assistant device) via Apple's feedback form. Funny that. HSBC are trying to push voice recognition to log on. Why have they cracked it yet Google have failed? Isn't the difference that HSBC is using it as a second factor, a password where the user is already known, whereas Google is using it as a single factor? The former is a 1:1 comparison where here you need a 1:several. The other difference is over the phone, the acoustics are far better. I've listened to Alexa captures in the app from across the room and they're definitely not phone quality. Soooooo...In order for these user detection systems to work properly and reliably you need an array of microphones that support beam forming so it can pin point the user. Google Home doesn't have them, Alexa doesn't have them, nobody is using these yet. This means that whoever upgrades to the Vesper manufactured piezo MEMS microphones is going to have a major advantage in user recognition (and therefore functionality/reliability). I'll never understand why these companies, who know damn well that they don't have the hardware in place to do it right, have instead put out a few million units of a device that won't be replaced often just to get this type of device out first. Why? Why not make it great and have a reason for existing instead of rushing into this half baked market just to get there first? I actually am awaiting Apple to make an announcement with in the next year hopefully on a home automation device. In the same respect, Hopefully Siri is revamped accordingly when they release their version. It's just one more product to add from Apple's ecosystem for me. How long have they had Siri out in the wild for? And still it is rubbish. I certainly wouldn't recommend that you hold your breath whilst you are waiting. They could at least let customers set location other than US or UK address. ArsTechnica ('https://arstechnica.co.uk/gadgets/2017/04/google-home-multiple-users-rolls-out/') asked Google how confident it was in the speaker's ability to distinguish users only by voice. Google responded by explaining that the feature was still being refined. "We don't recommend that users rely upon voice identification as a security feature," said the company. They need that for it to work seamlessly. Google has already stated that the feature shouldn't be relied on to work 100% of the time. By using beam forming you can isolate voices at the hardware level instead of a software implementation that is merely trying to compensate for the lack of that ability. But who indicates hardware would be needed? I have my doubts as putting intelligence in software today is pretty powerful. Why do you think this is true? They do NOT need a special microphone as done in software. Plus they are able to handle replay attacks as explained in this patent that Google received. I think Amazon's Echo does in fact use beam forming, it has an array of microphones (7 to be exact). Google tries to solve this in software rather than spending the money on hardware, as per usual Google operations (see Pixel's lack of hardware OIS). EDIT: and speaking from personal experience, as I own both, Echo is far better at picking my voice out no matter how far away I am or how loud it may be in the room even if the Echo itself is playing music.